The Miro mirror hall stand by Pulpo combines a clothes and accessories organiser with a decorative mirror element. Miro was designed by Meike Harde, who positioned a structured mirror plate at an angle, leaning against a black metal frame. This arrangement makes it look as if the mirror is floating freely inside of the frame, giving a certain lightness to the overall appearance. The frame can be used as a coat stand on which coats, scarves and bags can be presented in a stylish way. The construction is simple and minimalistic while the mirror adds the decorative element. 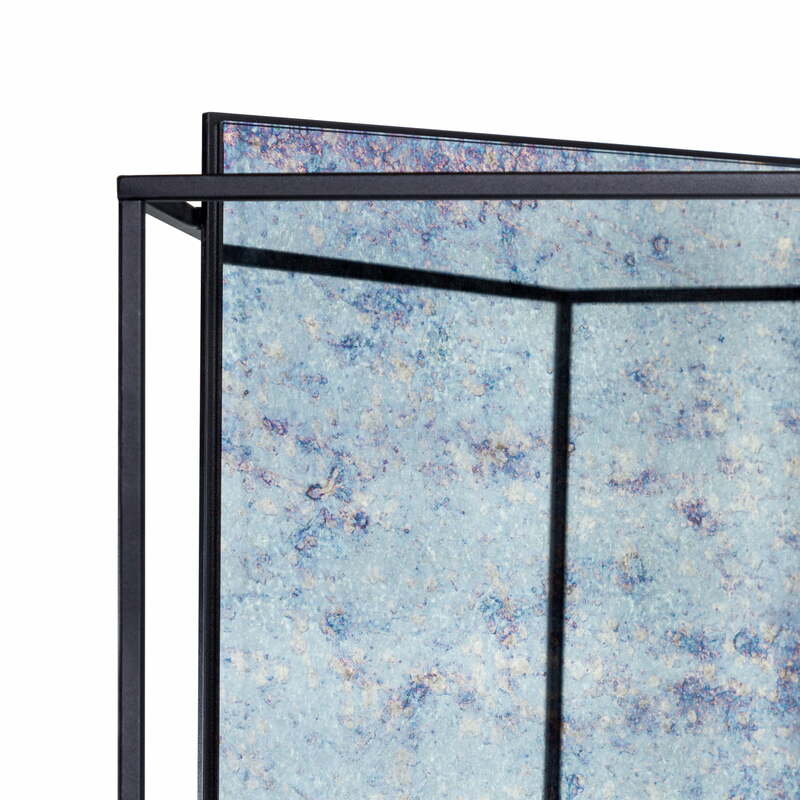 The structured mirror surface has a marbled look, which acts like an eye-catching antique filter. The reflection in the mirror, however, is not distorted by the surface. 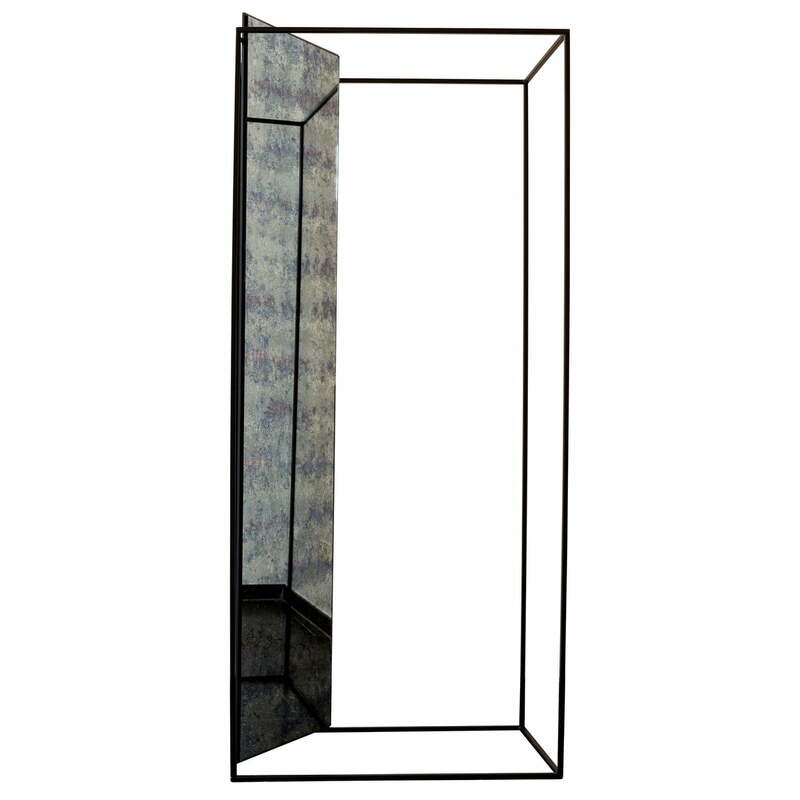 The Miro mirror is manufactured in an environmentally-friendly way without copper or lead. Mirro can serve as a classic hallstand in the hallway or an alternative garment rack in the bedroom. In any case, Miro is a striking piece of furniture that tastefully enhances any environment. Isolated product image of the Pulpo - Miro mirror coat rack. 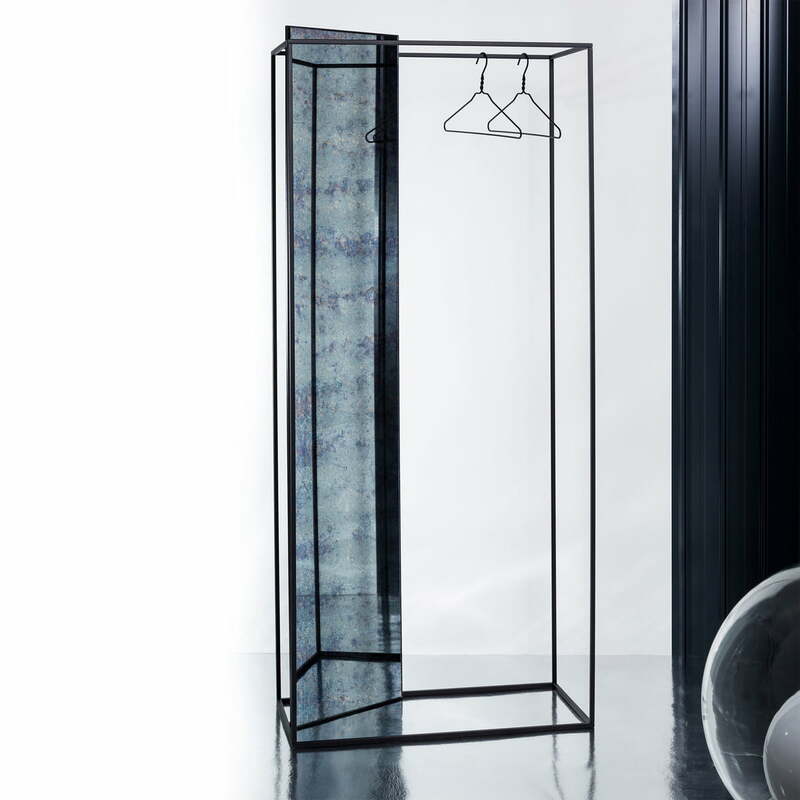 The Miro mirror hall stand by Pulpo combines a clothes organiser with a decorative mirror element. Isolated product image of the Pulpo - Miro mirror coat rack. Miro was designed by Meike Harde, who positioned a structured mirror plate at an angle, leaning against a black metal frame. Isolated product image of the Pulpo - Miro mirror coat rack. Mirro can serve as a classic hallstand in the hallway or an alternative garment rack in the bedroom. In any case, Miro is a striking piece of furniture that tastefully enhances any environment. 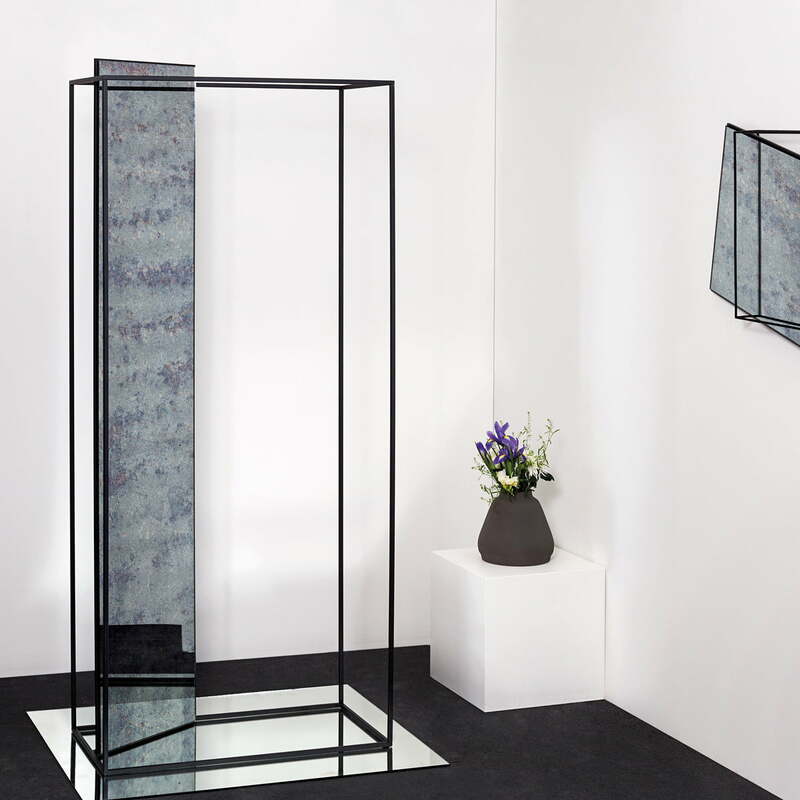 Detailed product image of the Pulpo Miro mirror hallstand. The frame can be used as a coat stand on which coats, scarves and bags can be presented in a stylish way.